The Chaincap is a basic cover to protect your clothing from blocking the chain wheel and to protect your chain wheel against moist and dirt. 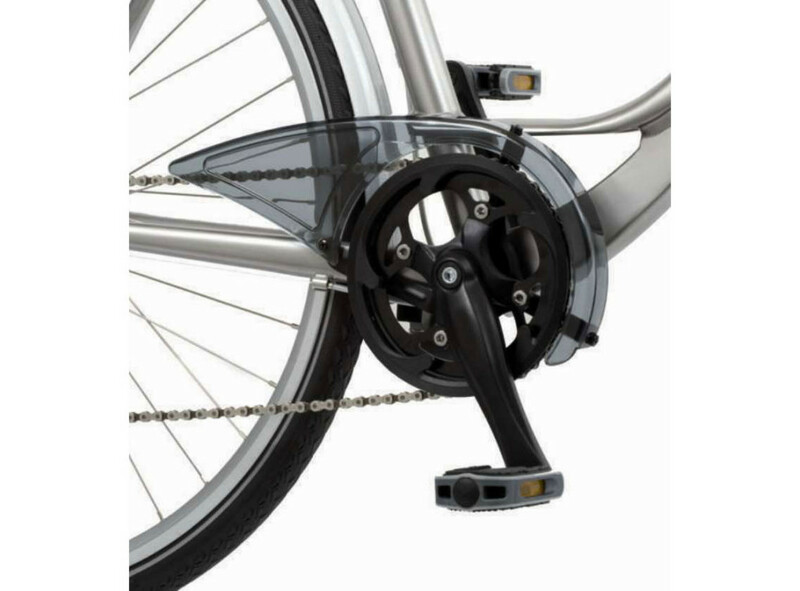 This chain guard is suitable for triple chain wheels and is mounted by a 3-point crank bracket. The Chaincap fits sprockets of 42, 44 or 48 teeth. It is made of polycarbonate material in dark smoke. This chain guard has been developed together with Martijn Wegman and Justus de Wit.